Use theMapping Editor to create complex objects from multiple step inputs. 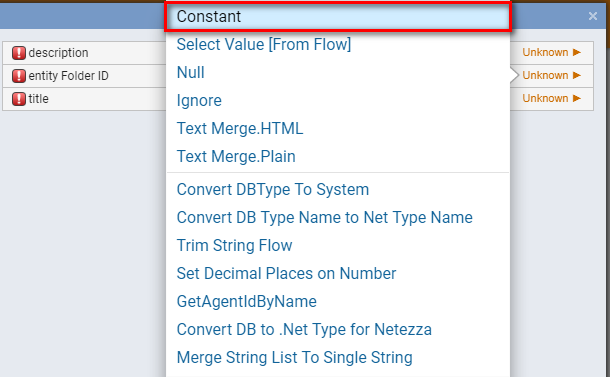 For example, map the output of data entered in form fields to the inputs of an internal service to transform user-entered information into a KB article (Knowledge Base). Begin by navigating to a Designer Folder and selecting the Create Flow	button. 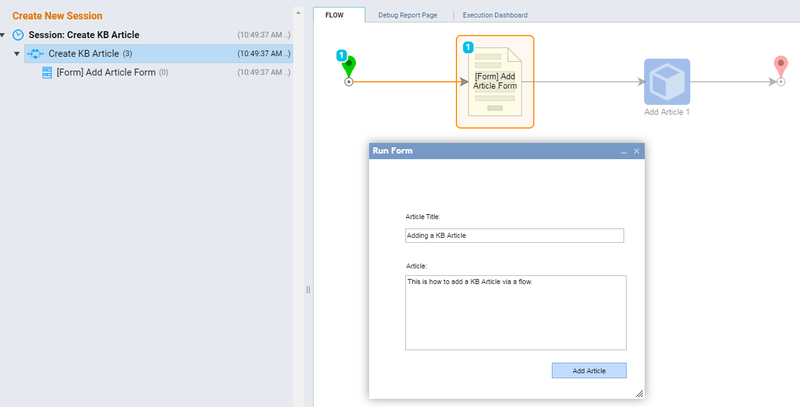 Give the new flow a name, for example "Create KB Article," and click OK	. 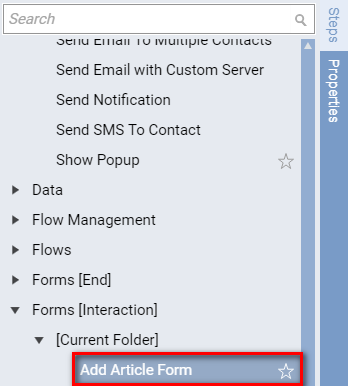 In the Flow Designer start-up window, in the category Flows, Rules, Forms and Reports >	Forms [Interaction] > [Current Folder]	, select an Add Article Form	component and click Add	to add it to the workspace. 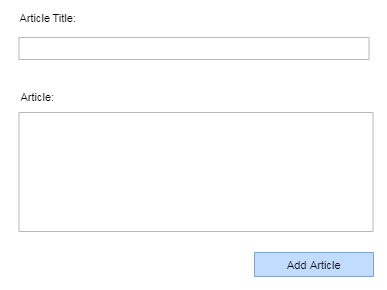 To map the inputs which will create the Article object, select Add Article	and, in theProperties	panel, click the link Edit Input Mappings	. 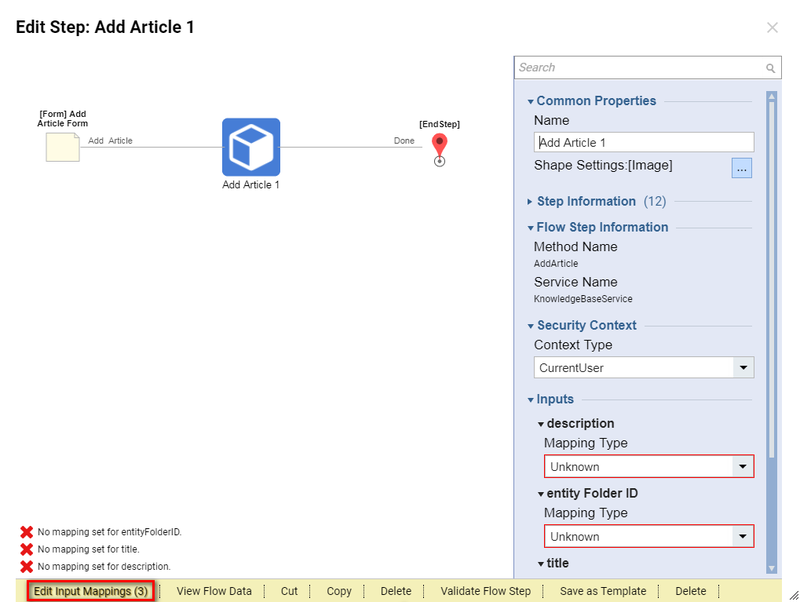 Our Article object has three properties: the folder containing the entity, the title and the description. Because the folder containing the entity is not provided by our form, enter it manually by changing the mapping type of entityFolderId	to Constant	. . .